As enterprises migrate to the cloud, users at headquarters, branch offices, and remote locations are increasingly accessing a multitude of services across IaaS, PaaS, and SaaS platforms. However, connecting to the cloud, especially across large geographical distances with MPLS or an Internet-based connection can be complicated, frustrating, and unproductive. Arayaka’s SmartCONNECT SD-WAN as a Service is a fully managed service, and a single solution for application performance and global multi-cloud connectivity. It deploys in hours, and offers reliable and stable performance for Oracle’s cloud services. 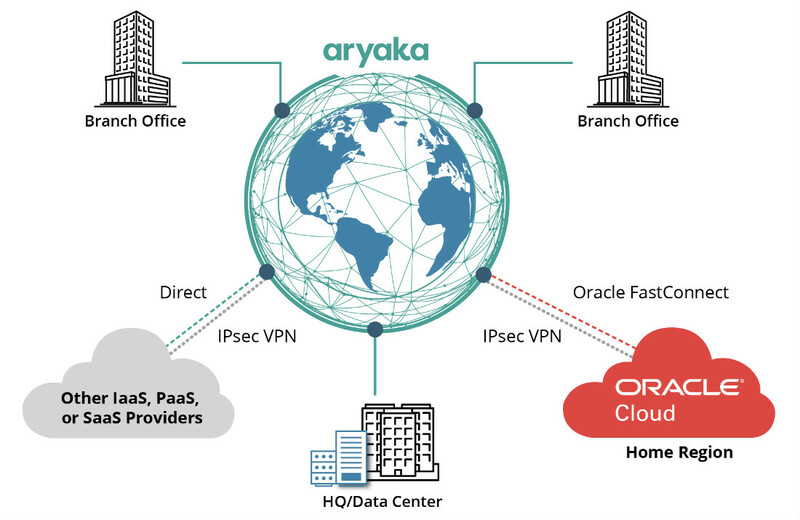 Global enterprises benefit from direct network access to cloud data and applications from any region in the world using Aryaka’s 30 Points of Presence (POPs), reaching 95% of the world’s business users. Aryaka’s solution delivers up to 8 times faster application performance compared to existing network options, providing access to business-critical applications in 30 milliseconds or less.